We still have plenty of Lilacs blooming (see the dwarf one in the background?) 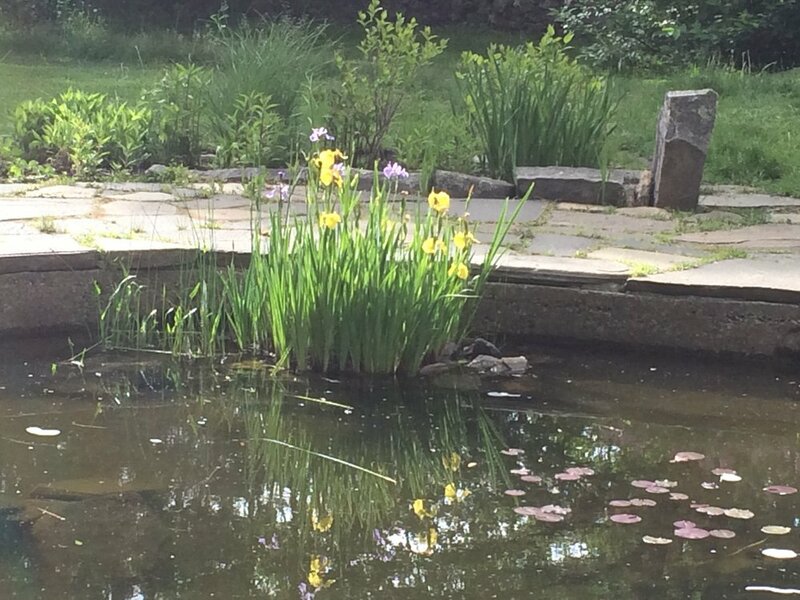 and will be having the official opening of our Lilac Walk at our Garden Days event on June 18th, but right now the irises are the stars in the Garden. They are blooming everywhere. Not only by the pond, but also IN the pond. They look great with a stone wall as a backdrop. 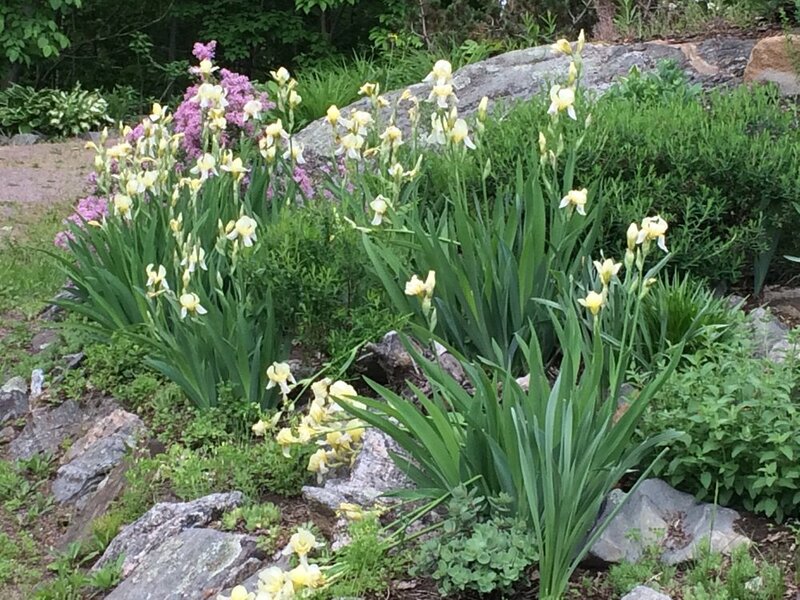 The Cream coloured ones look pretty nice in the rock garden. But I must confess, these purple ones are my favourites!